On Tuesday the 15th of December 2009 at Teatro Arsenale in Milan, Digicult presented DATA, the third meeting of the Sincronie Festival 2009. Sincronie is a contemporary and experimental music event that began in 2003. As with the previous editions, this edition was also developed on a theme, which in 2009 was the relationship between music and numbers. 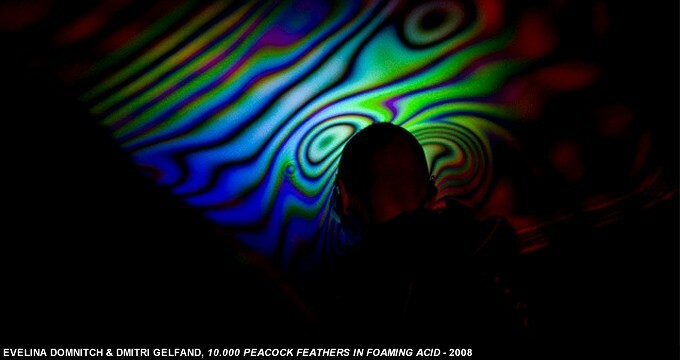 To stay true to the theme dictated by Sincronie 2009, Marco Mancuso has invited the two Soviet artists Evelina Domnitch and Dmitry Gelfand, who talked about their artistic production on the link between art and science, and will exhibit their live performance 10000 Peacock Feathers in Foaming Acid. The event was precedeed by the lecture “The Psychophysics of force field tailoring” centred on their works as pioneers of the creation of sensorial environments where chemistry, physics and philosophy meld together, in relationship with the analysis of human perception of such phenomena. 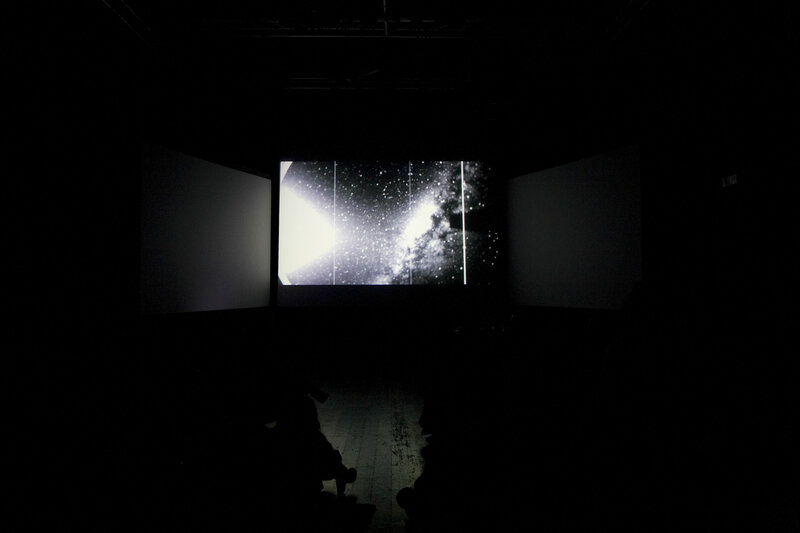 The event was enriched by the projection of the video screening Hidden Worlds, where a series of audiovisual works have been selected that investigate the relationship between audiovisuals and science. 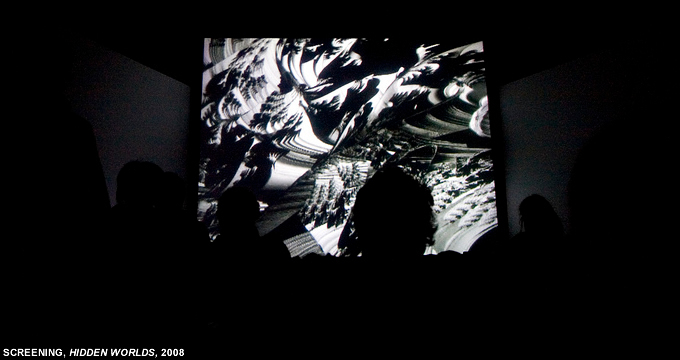 The video screening was dedicated to some examples of artists who work on the rapport between sound and image, through different techniques, that are generated by physical, chemical-physics, mathematical, electromagnetic and nanometric phenomena.